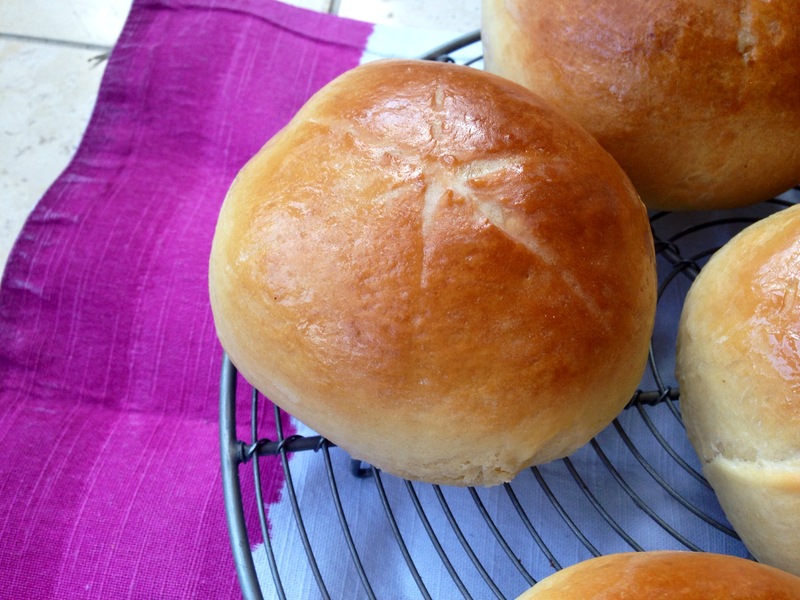 Brioche burger buns seem to be all the rage, with their impossibly glossy tops, rich soft crumb and sweet taste. Interesting breads are so often lacking if you avoid milk, eggs and nuts/seeds, so I thought I’d jazz up our Friday night burgers with an attempt at an egg and dairy-free brioche. 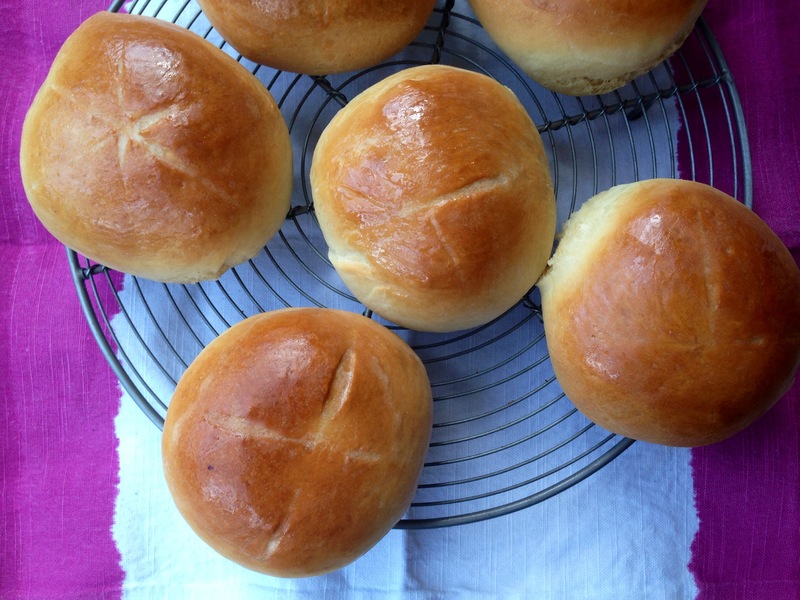 I really didn’t think it would work – brioche is essentially bread packed full of eggs and butter. 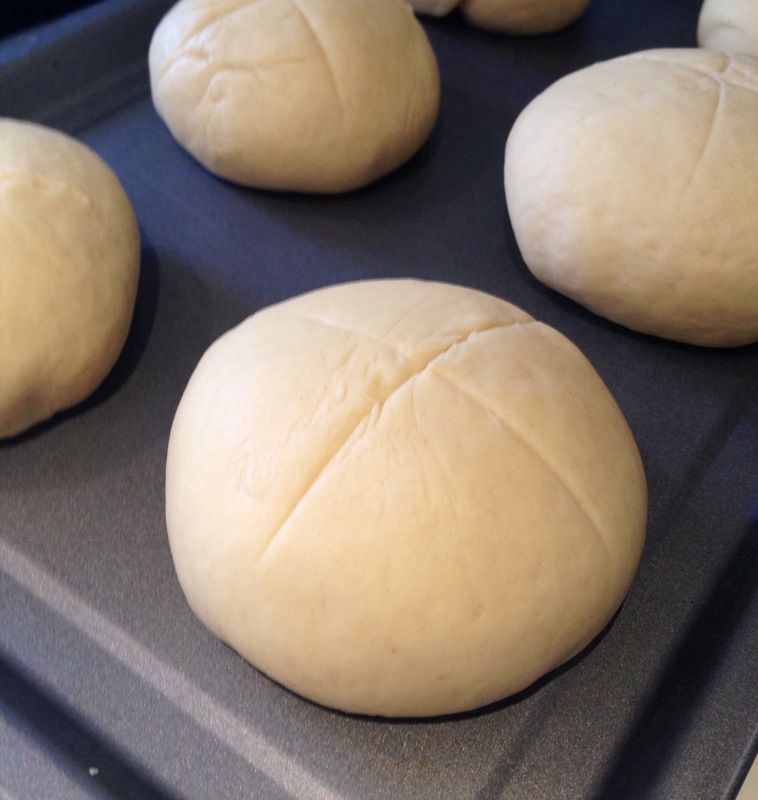 Actually though, the results are really pleasing and very much like regular brioche – OK, the glaze on the top isn’t quite as dramatic as an egg-based brioche glaze, but I was pretty pleased with the results. The crumb is slightly sweet and much richer than a classic bread roll. 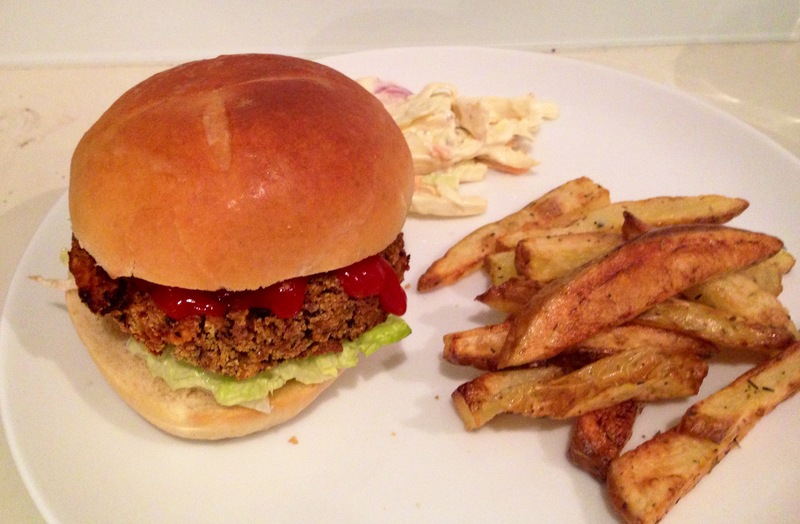 They worked beautifully as a burger bun, and regular readers of my blog will know I’m always concocting new burgers, so why not try it with my Mexican bean burgers, my smoky chipotle mushroom burgers, heck or even Jerk spiced sweet potato patties? The left-overs were utterly sublime made into a bread and ‘butter’ pudding. This looks great. I’m inspired to try it out. These worked out so good and went great with a bean burger and fries. Thanks for this recipe will definitely use again!